R.S.F.S.R. 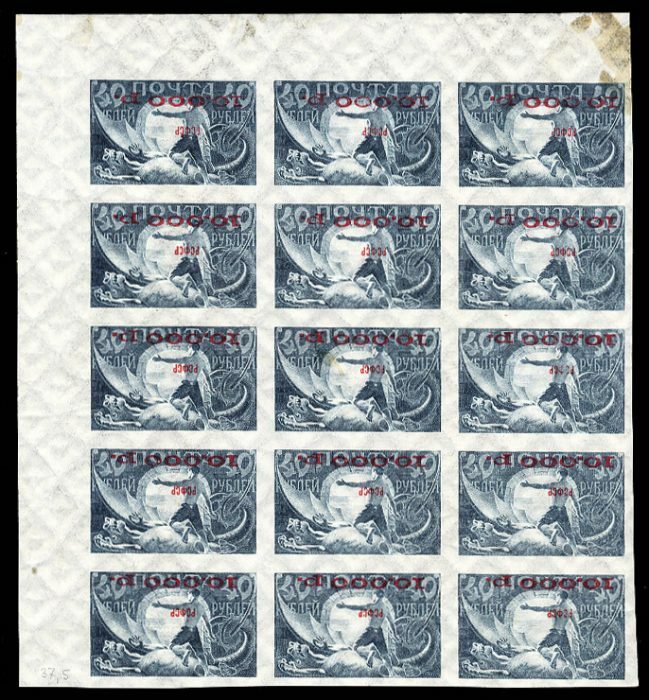 10,000r on 40r (surcharged in red) 1922 (size 37.5mm), watermark points up, red surcharge inverted, left sheet corner margin block of 15, largest known multiple of inverted red surcharge 10,000r on 40r. 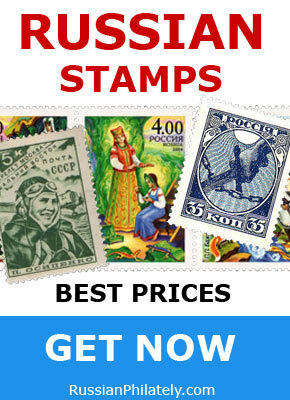 R.S.F.S.R. 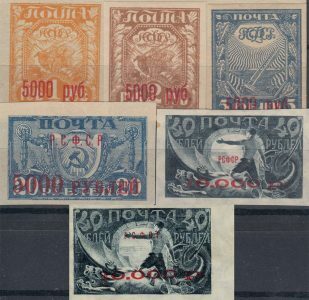 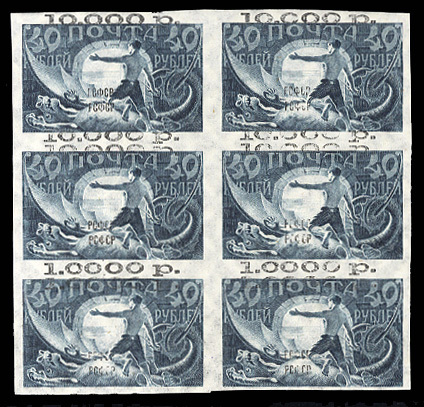 1.000r on 40r 1922 (distance between lines 7mm, size 38.5mm), block of six (2×3), surcharge double and shifted to bottom, top and bottom stamps are 10,000r, undoubtedly unique.